…What is container lashing ? 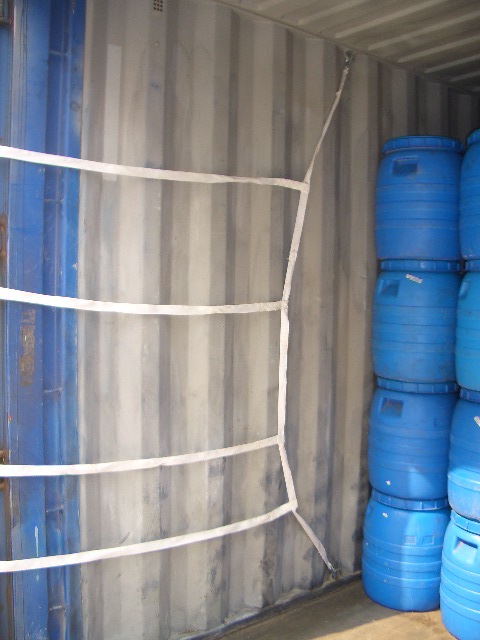 Container lashing systems are restraint systems pre-assembled for immediate use and thus easy and fast to handle. 2600 mm (for High-Cube containers) length that are fixed with sewed hooks in the eyelets of the container. ensuring best recovery and thus excellent protection of your products. Accordingly the textile material avoids the damaging of delicate surfaces.